The eFest Slim K1 Charger features a piano wire spring which provides a smooth sliding action when installing and removing batteries. The spring has been tested over 15,000 times for quality reassurance. 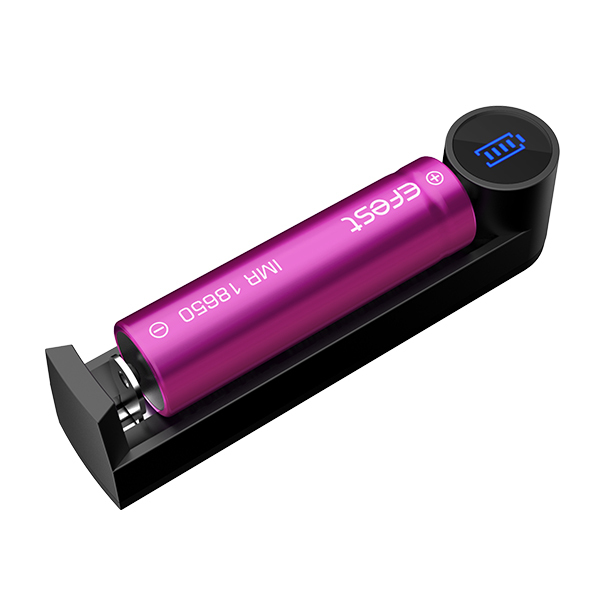 The steel cathode with low resistance and hard chromium plating processing achieves a more precise charging voltage.